Two separate teams of scientists funded by the Pentagon’s research arm have revealed significant breakthroughs in the field of quantum teleportation which could have a major impact on cybersecurity and encryption. 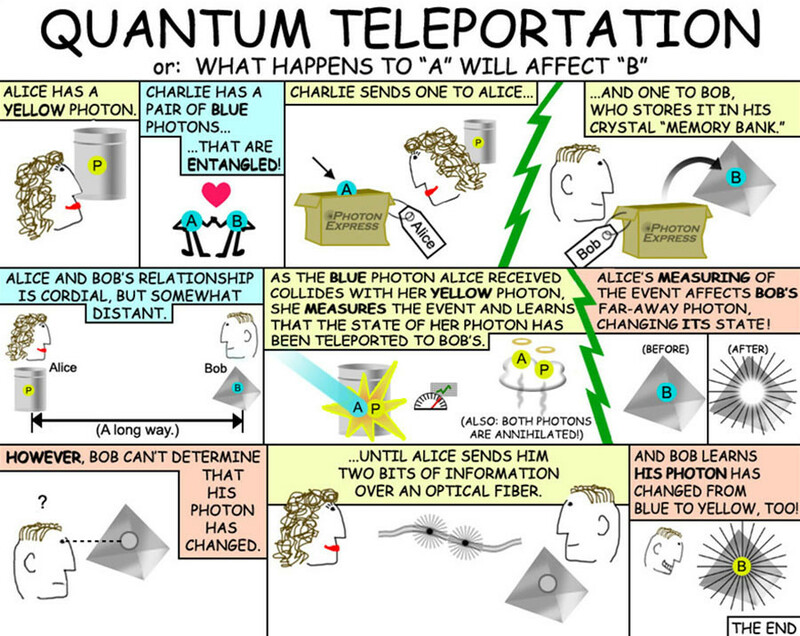 Quantum teleportation is a process by which quantum information can be transmitted from one place to another, and scientists have long sought to prove it is possible. Two separate DARPA-funded studies by physicists based in China and Calgary, Canada have now confirmed that not only is quantum teleportation a real phenomenon but they also demonstrated that it’s a workable technology that could one day help build an unhackable quantum communication systems to span great distances. However, the breakthrough doesn’t mean that sci fi-style human teleportation is any closer as the photons aren’t actually disappearing from one place and appearing in another. Instead, it’s the information that’s being teleported through a phenomenon called ‘quantum entanglement’, which Albert Einstein called “spooky action at a distance”. According to the strange world of quantum mechanics some particles can be ‘entangled’ meaning that what happens to one particle will immediately affect the other, no matter how far apart they are. Using that property, quantum teleportation instantly transfers the state of one quantum particle to another without sending the particle itself - and without anything physical passing between them. The process is called ‘teleportation’ because the initial message is destroyed and only the information gets teleported from one place to another. The results of both the experiments were published in the scientific journal Nature Photonics on Monday. 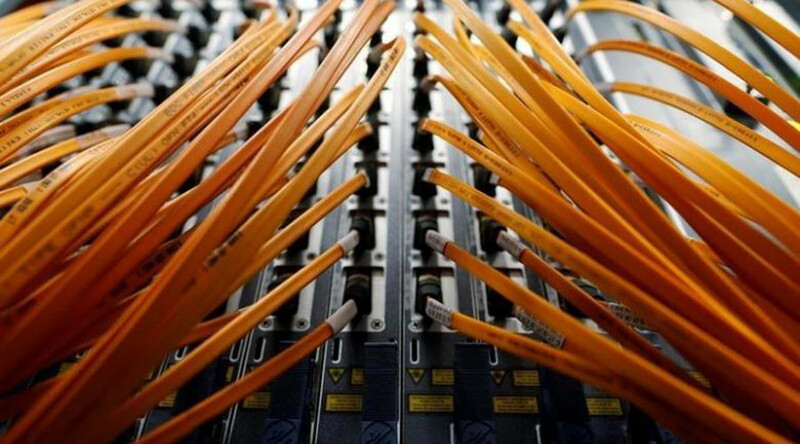 The Canadian and Chinese teams used slightly different methods and generated different results, but they both successfully teleported information across existing optical fibre networks. This had never been done before outside of a lab and is seen as a huge breakthrough. One drawback in both of the experiments, however, was that they could send only a very limited amount of information. The Calgary experiment was the quicker, though less accurate, of the two and it managed to send just 17 photons a minute. Quantum teleportation has actually been achieved over greater distances in the past. In 2012 researchers from Austria used lasers to teleport information a distance of 143km between two of the Canary Islands. However, that method isn't as reliable for practical networks as optical fibre because environmental conditions can disrupt the signal. The research was funded in part by DARPA's Quiness and Information in a Photon programs. The Quiness program was set up to help prevent “adversaries” hacking Department of Defense information. DARPA say that "photons are a valuable resource for many military applications ranging from communications systems to visible and infrared sensing platforms." "The broad availability of advanced communications technology possessed by adversaries makes it increasingly difficult to ensure the integrity and confidentiality of DoD information," the defense researcher explains. The biggest application of quantum teleportation is likely to be in encrypting information. As the two photons communicate with each other via quantum entanglement, it is much harder for an outsider to read the information. In order to decrypt a message, a hacker would need both the key - which is sent over the regular internet - and the entangled photons themselves.